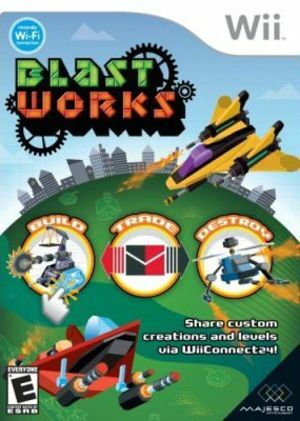 Blast Works: Build, Trade, Destroy is a side-scrolling shooter video game for the Wii. The game features 3D graphics, with enemies and obstacles represented in the form of polygonal toy blocks and propellers. The game also introduces extensive editing tools for the player to make custom content such as entire levels from scratch. The graph below charts the compatibility with Blast Works: Build, Trade, Destroy since Dolphin's 2.0 release, listing revisions only where a compatibility change occurred. This page was last edited on 14 January 2018, at 10:29.